This special event will bring acclaimed novelist Esi Edugyan together with four of her editors — Patrick Crean, Marie-Lynn Hammond, John Sweet, and Jane Warren — for a discussion about the writing and editing of Ms. Edugyan's two Giller Prize–winning novels, Half-Blood Blues (2011) and Washington Black (2018). We'll hear from editors Patrick Crean, Marie-Lynn Hammond, and Jane Warren about the scrambling that ensued when Key Porter Books, the original publisher for Half-Blood Blues, closed down during the edit. And we'll find out why Montreal editor John Sweet is still talking about the amazing experience he had copy editing Washington Black for HarperCollins imprint Patrick Crean Editions. Copies of Washington Black will be available for purchase at the event. Debit and credit cards will be accepted. Free for members of Editors Canada; members of the Canadian Authors Association; and students, faculty, and staff of the School of Continuing Studies’ Creative Writing Program. Member of Editors Toronto will need an ACCESS CODE to unlock their tickets. The access code is: EDITORSCANADA. Please note that this is all one word, in capital letters, with no space. BOOK YOUR TICKETS HERE beginning at 8 AM ON WEDNESDAY, JANUARY 16. Click on the blue GET TICKETS button on the upper right section of the page. Select your ticket type (e.g., EDITORS CANADA MEMBER or GENERAL ADMISSION) from the menu of ticket types. If you don't see your ticket type, but you have been given an access code, click on "Have an access code?" at the bottom of the screen, and enter the ACCESS CODE given to you by your department or association. For Editors Canada members, the access code is EDITORSCANADA. In the drop-down menu to the right of the ticket type, select the number of tickets you want. Free tickets are limited to one per person, whereas non-members can buy up to four General Admission tickets each. A dialogue box will appear. Input your full name and email address. Select the appropriate option (e.g., Editors Canada member). Your ticket will be sent to you by email. Please check your spam or junk folder if you do not see the ticket in your inbox. Printed or digital tickets (on your phone or other devices) will be required to attend the event. Problems booking? Contact Editors Toronto programs chair Lee at toronto_br_program_chair@editors.ca. Remember to bring a couple of toonies or a fiver or two for our raffle! Prizes include a copy of Washington Black, donated by HarperCollins Canada; two passes to the Art Gallery of Ontario, donated by the AGO; a Nespresso Inissia machine, donated anonymously by an Editors Toronto member; a $40 gift certificate, donated by iQ living; a $25 Indigo/Chapters gift card, donated by Upon A Star Books; and a literary tote bag, donated by Pulp & Paperie. The organizers would like to thank HarperCollins Canada, the AGO, our anonymous Editors Toronto donor, Upon A Star Books, iQ living, and Pulp & Paperie, for generously supporting this event! Raffle tickets: $2 each, $5 for three, or $10 for seven. All proceeds from the raffle will support creative writing students through the SCS Creative Writing Bursary. Raffle winners must be present at the event or be represented by someone who holds their ticket to claim their prize. 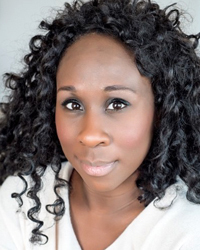 ESI EDUGYAN is the author of the novels The Second Life of Samuel Tyne, Half-Blood Blues, and Washington Black. Half-Blood Blues won the Scotiabank Giller Prize and was a finalist for the Man Booker Prize, the Governor General’s Literary Award for Fiction, the Rogers Writers’ Trust Fiction Prize, and the Orange Prize for Fiction. Her latest novel, Washington Black, also won the Giller Prize and was a finalist for the Man Booker Prize, the Rogers Writers’ Trust Fiction Prize, and the Andrew Carnegie Medal for Excellence. She lives in Victoria, British Columbia. PATRICK CREAN has been in the book publishing business for 48 years. He began his career in 1971 when he joined McClelland & Stewart as a junior editor. 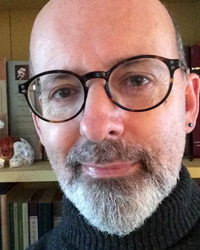 Over the years, he has edited fiction and non-fiction at General Publishing, Somerville House, Key Porter, Thomas Allen (where he was the publisher for 12 years), and currently with his own imprint at HarperCollins Canada. He has worked with some of Canada’s most celebrated authors, including Esi Edugyan, Austin Clarke, Barbara Gowdy, Zsuzsi Gartner, Susan Swan, Greg Hollingshead, and David Gilmour, among many others. His authors have won three Giller Prizes (including one for Esi Edugyan’s Washington Black), three Governor General Awards, and have garnered two nominations for the Man Booker Prize. In 2003, Patrick was awarded the Editor of the Year Libris Award by the Canadian Booksellers Association. Since 2012, he has taught courses in Book Publishing at Ryerson University. He has been part of the professional outreach and mentorship program (Quadrangle Society) at Massey College, University of Toronto, since 2004. MARIE-LYNN HAMMOND is a singer-songwriter, editor, writer, and former CBC radio broadcaster. After 20 years of working in the arts, she decided she wanted to get really rich and became an editor. Finally, she could tell people that, yes, her English degree was, in fact, useful. Since then, she’s proofread and edited everything from recipes to novels to UN reports. In 2010, she copy edited Half-Blood Blues. She lives in Cobourg, Ontario, where she saves cats, rides horses, and occasionally performs in hopes of selling the 582 CDs of her music that remain in her basement. JOHN SWEET began his publishing career in 1988, at Penguin Books in London. He became a copy editor in 1991, when Penguin still had an in-house department called Ed2 comprising 18 full-time copy editors, so he was trained on the job, with a mentor. 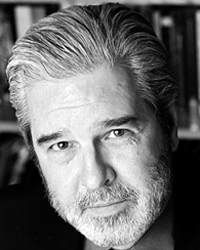 Since returning to Canada in 1995, he has worked as a freelancer for, among others, HarperCollins, Random House, Penguin, House of Anansi, Thomas Allen, Goose Lane, and Key Porter. When Esi thanked John in her Giller Prize speech in November, it was the first time his name had ever been spoken on national television. When not editing, he also writes and performs spoken word poetry and theatrical monologues. 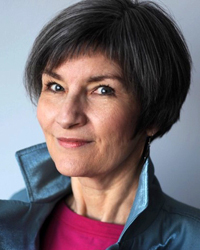 JANE WARREN is an editor with more than 15 years of experience in book publishing, specializing in literary fiction, commercial fiction, and memoir. 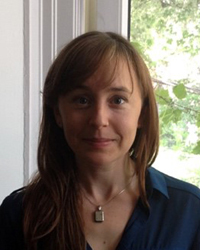 She has worked as a literary scout in New York City, a literary agent with Anne McDermid & Associates, an editor at Key Porter Books, and an editor at HarperCollins Canada. She has worked with national and international bestselling authors, including Esi Edugyan, Helen Humphreys, Ayelet Tsabari, Dave Bidini, Megan Coles, and George Elliott Clarke. Books she has edited have won or been nominated for the Giller Prize, the Governor General’s Award, the Amazon First Novel Award, and the Writers’ Trust Fiction Prize, among others. Doors will open at 6:40 PM promptly. Arrive early to get a good seat. Sidney Smith Hall seats 180 people and is accessible. Details about the venue are available here. Anyone with specific questions about the accessibility of this venue is invited to email the Editors Toronto programs chair at toronto_br_program_chair@editors.ca. This program will be videotaped. Please let us know ahead of time if you wish to avoid appearing on camera, by emailing the programs chair at toronto_br_program_chair@editors.ca. Thank you for your interest! We look forward to seeing you at the event.